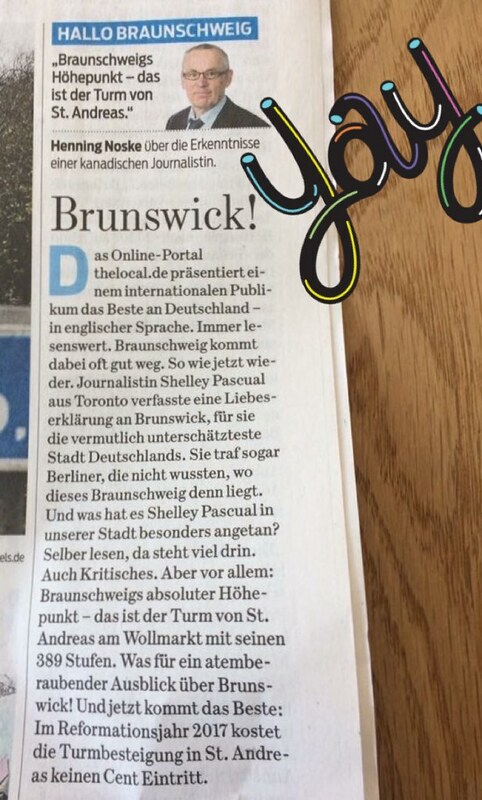 Local German newspaper The Braunschweiger Zeitung has featured my article about living in Braunschweig as an expat. The online news site The Local Germany presents an international audience with the best of Germany – in the English language. Braunschweig is mentioned rather often, just like recently. Journalist Shelley Pascual from Toronto summarizes her life experiences in Brunswick. For her, it’s probably the most underrated city in Germany. She’s even met people from Berlin who don’t know where Braunschweig is. When I flew from Toronto to Berlin in January, I had no idea I was breaking the law. My family came to visit me in Germany back in 2014. 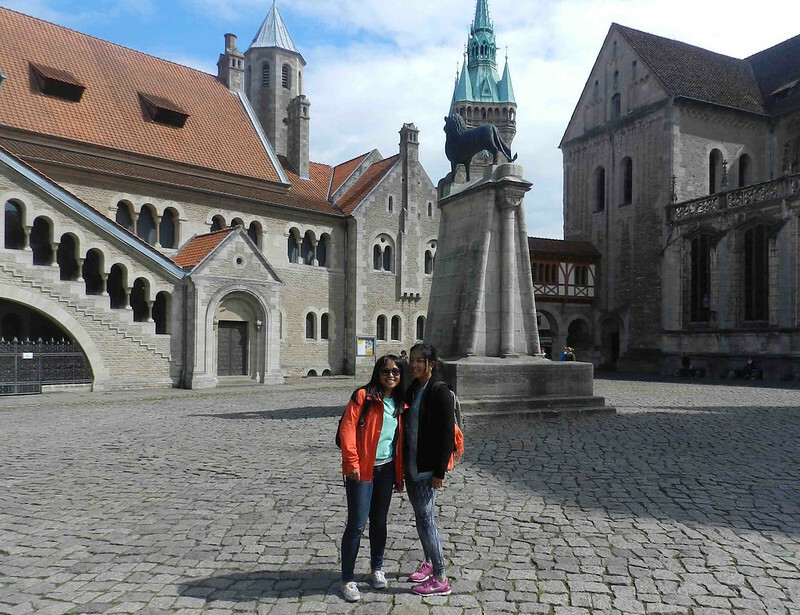 At the time, I had been living in a city called Braunschweig for two years. I officially left Braunschweig in late 2015. On the same day I found out, I booked a last minute flight from Frankfurt to Toronto. I had less than 48 hours to pack my life into a suitcase before I flew home. Home home. Even though I’d just been home! I’d spent three weeks in Toronto over the Christmas holidays and I flew back to Germany via Berlin in early January. I had only been back across the pond for a month before I was told I had to leave. 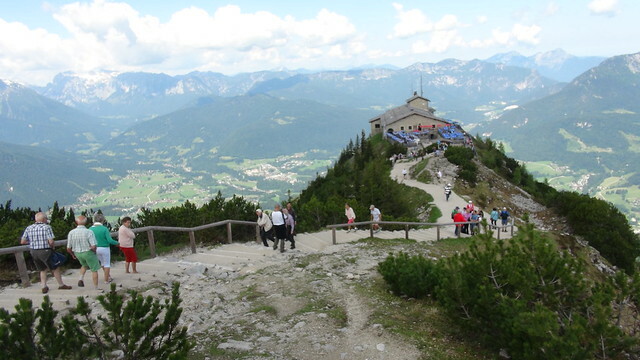 After joining a Leger Holidays tour group on their visit to Eagle’s Nest in southern Germany in June, it was plain to see why so many visitors flock to Hitler’s former holiday retreat. What is today a seasonal restaurant and beer garden with sweeping views of the Bavarian Alps was actually a gift the National Socialist party gave to Hitler on his 50th birthday. Perched atop a rocky outcrop overlooking the town of Berchtesgaden close to the Austrian border, Eagle’s Nest is just one of the various “iconic and infamous” sites included in the itinerary of The Rise and Fall of the Third Reich, a tour which examines the “dark charisma of Adolf Hitler.” The group I had the pleasure of joining consisted mainly of British pensioners who all seemed to have one thing in common: a healthy fascination for history. By mobilizing potential voters and personalizing his campaign via social media, Justin Trudeau used digital technologies to his advantage in Canada’s federal election last year. When Justin Trudeau won the leadership position of Canada’s Liberal Party in 2013, social media was widely viewed as a key element of his success (Gruzd and Roy 2014). The use of social media in political processes and debates, however, was not new at the time. While few candidates were committed to using social media to its full potential in the UK’s 2010 general election (Southern and Ward 2011), Barack Obama’s exploitation of social media in America’s 2008 primary and presidential election continues to be heralded as the model for the full potential of digital technology in an election campaign (Strömer-Galley 2014). Today, the use of social media in political campaigning has become seemingly prevalent; it is valuable to examine how – if at all – it is changing the nature of election campaigning. In order to explore this topic in-depth, I have chosen one political campaign to analyze. A closer look at how the refugee crisis has been represented in Canadian news reveals how powerful the media can be in the reporting of global crises. Since the Syrian Civil War began in 2011, millions of people in Syria and surrounding war zones have fled their homes. They have sought asylum in neighbouring countries, nations in Europe, and countries as far away as Australia and Brazil. This mass displacement of people to different parts of the world can be considered not only a refugee crisis, but a global crisis. A global crisis occurs when internationally legitimate humanitarian, political or military intervention is needed to resolve it (Shaw 1996). However, it can be asserted that crises today are principally defined and dramatized in and through media and communications (Pantti et al. 2012) and “it is mainly through media reports that the world perceives international crises” (Joye 2009: 3). Therefore, when analyzing global crises, it is crucial to look at how they are reported in the media.